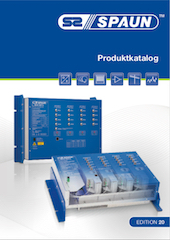 For the past 40 years the company SPAUN electronic stands for innovative and trend setting products with a high quality standard. SPAUN electronic is a global operating company with focus on the SAT IF and fiber optics distribution technology. This website is directed to dealers and technicians which are familiar with the basic rules of reception and installation techniques.